Futures Trading – How does Foreign Currency Futures Trading Work? Let’s start of by saying that the origins of today's futures trading market lies in the history of 19th century agriculture markets. During that period, farmers began selling contract deals to deliver their agricultural products at a set later date. These deals were done to anticipate market needs and to help stabilize agricultural supply and demand during off seasons. Who would’ve thought that the foreign currency futures trading market started so long ago? The current trade futures market, of course, includes much more than agricultural products. It is a global market for all kinds of commodities that also include manufactured goods and financial instruments such as treasury bonds and currencies. A futures trading contract states what set price will be paid for a specific product at a set delivery date. When speculators look for trade opportunities in the Forexfutures trading market, the actual goods aren’t that important and there’s no expectation of delivery. In actual fact, it is the trading futures contract itself that is traded as the worth of that set contract changes on a daily basis according the market value of the commodity. In every FX futures trading contract there is a buyer and a seller. The buyer takes the long position and the seller takes the short position. 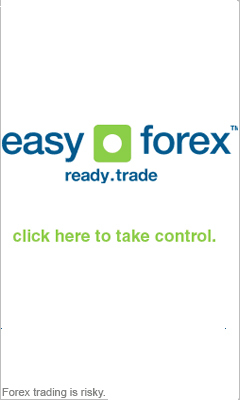 The FX futures trading contract specifies a buying price, a delivery date and a quantity. For instance: A farmer makes and agreement to deliver a thousand bushels of wheat to a baker at a set price of five dollars a bushel. If the daily price of wheat trade futures falls to four dollars a bushel, the farmer's fund account is credited with a thousand dollars ($5 - $4 X 1000 bushels.) On the other hand, the baker's account is then debited by the same amount, $1000. Trade futures accounts are settled every day. Speculators on the hunt for trading opportunities hope to profit by the daily fluctuations in the futures trade market by buying long from the buyer if they expect a rise in prices, or by buying short from the seller if they expect a reduction in prices. The foreign exchange market has a couple of advantages over the foreign currency futures trading market. The Forex market is more liquid and it manages to dwarf the futures trade market, as it is the largest financial market in the world with the most daily exchanges. This means that Forex offers less slippage and stop orders can be executed more easily than when you are trading futures.